Bisauna is a famous Village of Pargana Chail in Allahabad. 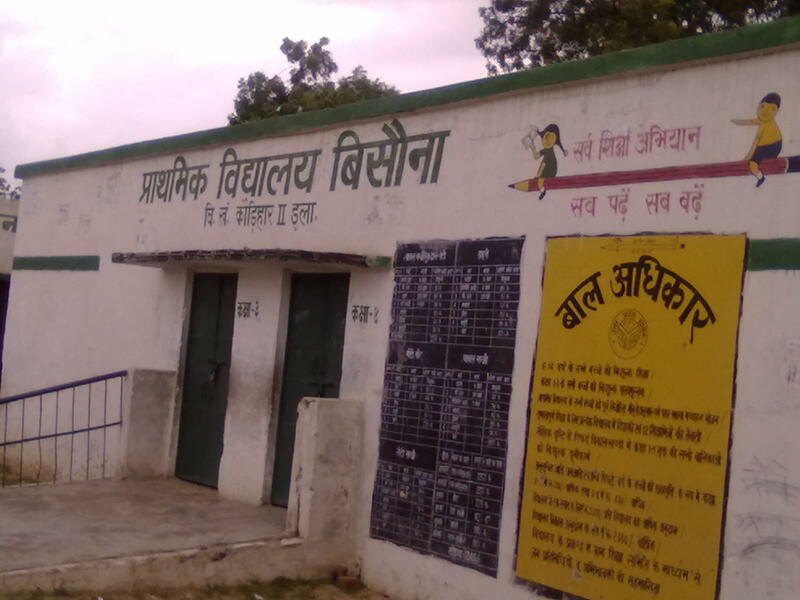 Today we shall explore the origin and history of this village that now falls under Tehsil –Sadar of District Allahabad. Bisauna is 13.9 km away from the city headquarters Allahabad. It is located on the banks of River Yamuna ( Jamuna) and offers a spectacular view of the flowing stream. 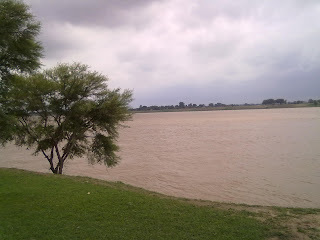 Here you can do some soul searching whilst watching the beautiful riverside. 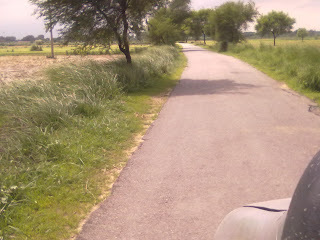 Near By Villages are Birwal (1.2 km), Adampur Urf Madaripur(2.5 km) , Kanjasa Uparhar(3.7 km) , Asrawe Khurd (3.9 km) and Asrawe Kalan. The correct spelling of Bisauna is Bisauna’n with Noon Ghunna but it happens that words make their own way in the course of time. 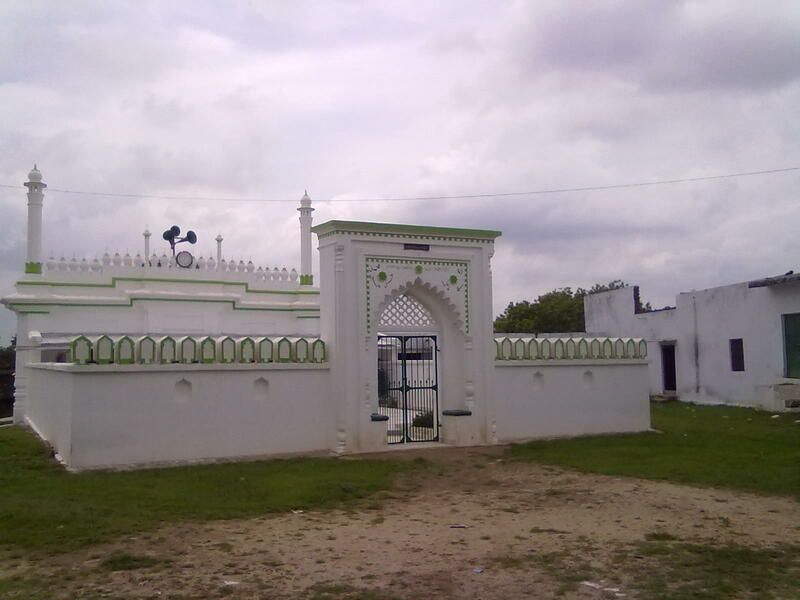 Legend has it that Aswah and Baswah were two local chieftains after whom two of the villages were named as Asrawe and Bisauna. 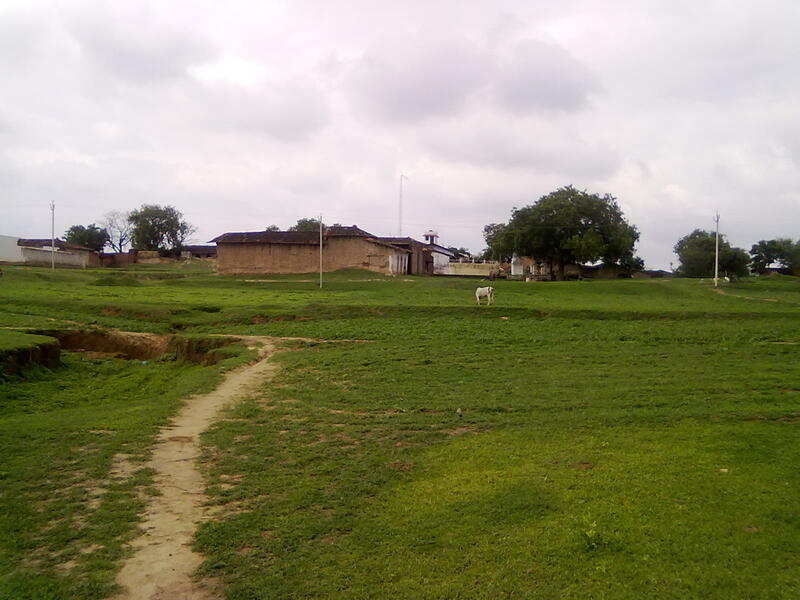 According to the local tradition, these villages were controlled by the Sonbarsa Thakurs at one point of time and Raja of Reewa had the ownership rights in Bisauna and environs as it were the bordering villages of his Riyasat. Other legend says that hundreds of years ago the river Jamuna flowed between Asrawe Kalan and Bisauna and as a mark of its course is left a large pool of water called the Taal. When dried up in summers it shows some signs of old inhabitation. Wallaahu Aa’lam. 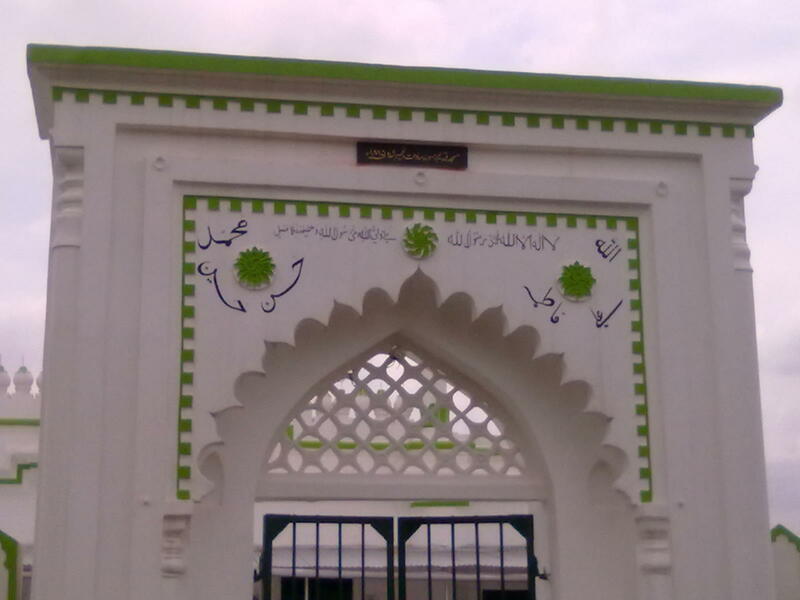 The Rizwi Sadat of Bisauna, Asrawe Kalan and Saidpur have one common ancestor and all the zamindar families of these three villages are considered to be Rizwi Saiyids descended from one adventurer Saiyid Asas-ud-Deen Haidar Sabzawari. As per the tradition one Saiyid Asas-ud-Din Haidar of Iran arrived at this place in Pargana Chail from Iran via Sakkhar ( Sindh-Pakistan).He liked the place on the banks of Jamuna and wanted to took up this place as his abode but he had to face stiff resistance from the local Raja Aswah and his brother Raja Baswah. Raja Aswah reportedly was in hold of the area around the village Tikri while his brother Raja Baswah was the husband of the Rani of Mainapur ( Mainapur is still there not very far from Bisauna). There are no reports as to how could Saiyid Asas get hold of the village, whether he came out victorious in a battle or the local Raja was astounded with his divine presence and surrendered to his demand. In any case he settled somewhere near Bisauna as there are no reports where did he stay at first. The son of Saiyid Asas namely Mohammad Naeem stayed on in Bisauna while two of his sons Muhammad Firoz went on to found and settle today are Saidpur (originally Saiyidpur). His second son Muhammad Aa’la continued to live with his father in Bisauna. Saidpur too is located three miles away on the banks of Jamuna. The sons of Khan-i-Alam continued to live in Bisauna while his brother Sadri=-i-Alam’s son Meer Riyayat Ali shifted to Asrawe Kalan as he got a big chunk of the property there to look after. Riyayat Ali’s son Meer Ali Bakhsh was the famous Taluqdar of 18th century in Pargana Chail. In the first half of 18th Century a family migrated to Adampur (that is called Madaripur) as well. Three houses of that family is still present there. 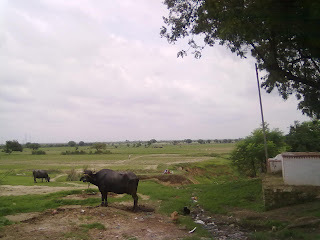 This Adampur + Bisauna collectively gave the name of a Taluka in 18th century as TALUKA ADAMPUR BISAUNA. They have one common ancestor and all class themselves as Saiyid Rizwi. If you look at the names mentioned in the table above, you will agree with me that these names are more likely to be Sunni Names contrary to the condition today that almost entire population of these villages are Shia therefore I would not be wrong if I say that their conversion to the Shia Faith took place quite later between 1750 – 1800 AD. There is high possibility that they converted to Shiaism after Awadh was taken over by Shia Nawabs starting with Burhan-ul-Mulk. Out of the same group ,one Sunni family always remained there in Bisauna till 1950. Upton enquiry it transpires that during the reign of Nawabs of Awadh, a Taluka was created with a total of 52 villages under the name ADAMPUR BISAUNA. 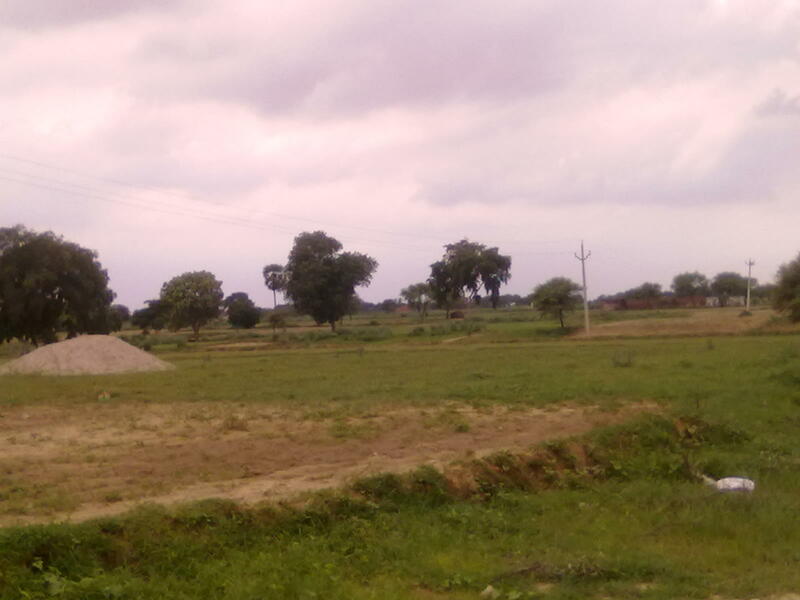 It held under its sway a lot of villages in Pargana quite haphazardly for the villages like Rasoolpur Beur in west and Kadlapur in the North-West came under the Taluka of Adampur Bisauna. Kadlapur as it is wrongly spelt and pronounced today has still got its original name as Qadirpur Taluqa Adampur Bisauna in the revenue records. It unravels further that the zamindars of Bisauna could not hold for long their grip over the taluka and soon the major chunk of landlord ship passed on to their collateral branch at Asrawe Kalan. The zamindars of Asrawe Kalan maintained and managed the Taluka quite well for over 50 years till the taluka was dismantled by the British.We dont find any Talukdar's name from Bisauna rather the Zamindars of Asrawe had more reasons to enjoy the Taluqdari status. During the 1857 uprising Bisauna and the zamindars of Bisauna were a great source of help to Maulvi Liyaqat Ali’s army in transporting the rasad to the Allahabad Fort through the river Jamuna as all other roadways were blocked. As you all know that Shia and Sunni families in Pargana Chail have been enjoying such an amiable and friendly relations over the centuries that had been enviable for a lot of other places in Awadh. As we know that our forefathers laid more stress on the purity of the blood than the wealth and Maslak (School of thought) of the family they married into. So is the case that we find marital alliances amongst all the noble blue blooded families in Pargana Chail with their Shia Brethren. These marriages continued until the mid of 20th century when it came to a gradual halt after the Orthodox Shiaism of Lucknow grew exponentially so much so that it turned the attention of people away from the old age traditions of land towards the puritanical shia tenets of faith. As far as I could examine, the zamindars of Bisauna accepted and gave their daughters to a very picked out selected families in Pargana Chail during the last 150 years. They while striking an alliance paid special attention not only to pure blood (Nasab) but they also looked at the material wealth and local standing of those families as well. Therefore give me liberty to say that no poor family of Pargana could dare to marry in Bisauna and Asrawe Kalan 100 years ago however Aali Nasab it might have been (barring a few exceptions). I examined the shajras of various villages and found that Bisauna people married and accepted daughters almost entirely from the families like Chaudharis of Bamhrauli, the Chaudharis of Makhaupur and Zamindars of Barethi , Seondha, the Chaudharis of Rasoolpur Beur and the Zamindars of Peepalgaon. These are the few chosen families who not only were Aali Nasab but also affluent commanding a strong social influence 100-150 years ago. It is a unequalled example of the selection of Hasab + Nasab. After 1940s when the era of shia-sunni marriages gradually came to an undeclared end, the people of Bisauna turned their head towards the pure Shia families outside chail e.g in Manjhanpur, Karari, Mahawan etc and even out of the district. As of today though no new marital relations are contracted between the Sunni & Shia families of Chail yet the friendly relations of the yesteryears are being carried on by the present generation with a very strong social bonding. Not only that the earlier marital connections are acknowledged but also respected and withheld strongly. It is also noteworthy that zamindars of Bisauna always preferred to marry in the top Sunni families of Chail, despite the fact the some prominent original Shia families were not too far from them in Karari and Manjhanpur, this again alludes to their original affiliation with the Sunni Faith. As always few families of Bisauna had migrated to other villages after getting a share from their in-laws / maternals in most of the cases. For instance ,Mir Akbar Ali and his sons migrated to PeepalGaon in the last decade of 19th century around 1885-1890.From PeepalGaon a family of Meer Ansar migrated to his in-laws at Alamchand while other Meer Zawar Husain migrated to Manauri. Kazim Husain Kajjan migrated to Muhiuddinpur while Meer Mohammad Yaqub migrated to Behka. A family went to Nazarganj and Husainpur each. Today the Bisauna off-shoots are found residing in Muhiuddinpur, Puraini, Manauri and Alamchand (Via PeepalGaon) while the rest of the immigrants have moved on. I was surprised to find that there was no building or construction worthy of a note. Keeping in view the famous past and their being a Taluqa, I expected at least one or two remarkable edifices but to my utter surprise Bisauna does not have such constructions at all. Rather there is a mosque seemed to have been kept well in a fine condition that attracted my attention. This mosque was constructed in 1865 by one Tahira Bibi of Bamhrauli who had her Nanihal here in Bisauna. The mosque was renovated by one Ibadat Husain Urf Abai Marhoom in the first half of 20th Century. 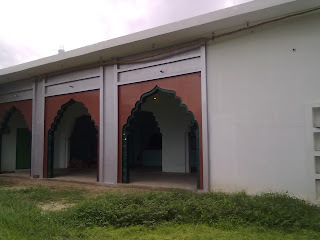 Imambaras –There are two Imambaras in Bisauna.The older was constructed in the last century while the latter one was constructed in 1905 by Meer Ata Husain known as Imambara Husainia Jadeed. On the western outskirt of the village is the Qabrastan and Karbala.Near the old graveyard close to a ditch are few graves where local villagers including the sunnis come to offer their respects and are knowns as Shaheeds. 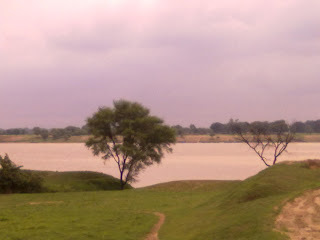 It is a strange fact that Taziyas in Bisauna are buried as well as immersed in Jamuna. Reason ? Catch up a Bisaun-ian and get the details yourself. In the past Meer Hayat Husain, Meer Inkisar Husain, were famous persons from Bisauna. Abdul Hai sahib was a wakeel. Maulvi Ali Jawwad of Bisauna was a well known Aalim of Arabic and Persian , it is remarkable that he took his high-school exams at the age of 72 and succeeded meritoriously.. Such was his quest of knowledge (ilm). Master Irshad Husain Sahib was a teacher in GIC Allahabad and very active socially. Maulvi Iqbal Sahib of Alamchand was also from Bisauna. Dr. Mujawar Husain in Lucknow is also from Bisauna. Peepli Live’s connection with Bisauna ! Though I am averse to cinema yet I know about the film Peepli Live that made waves recently and its director Anusha Rizvi was highly applauded for its story and direction. Do you know that Anusha Rizwi’s father belongs to Bisauna and hence Anusha is a daughter of Bisauna? 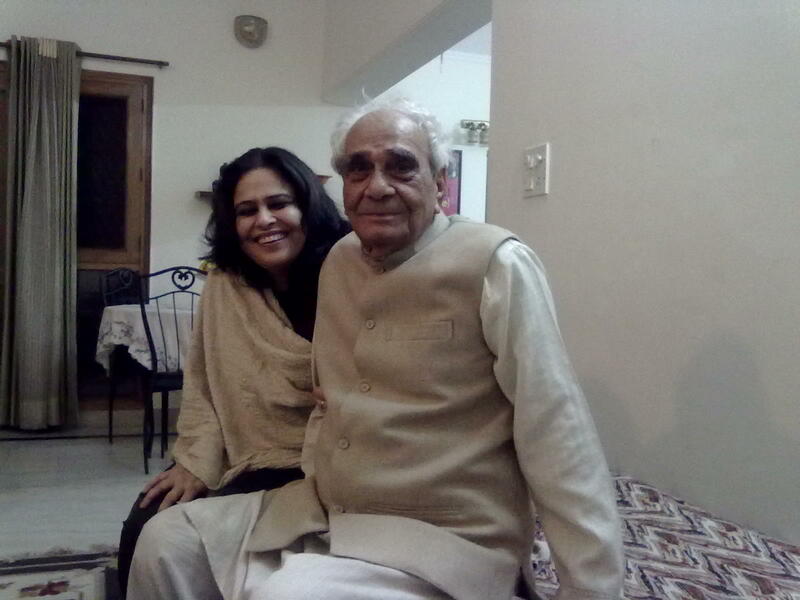 Professor Mujeeb Rizwi, father of Anusha Rizvi, was the head of Department of Hindi at Jamia Millia University and at one point of time acted as a Pro Vice Chancellor as well. It was Mujeeb Rizvi, who founded the Hindi department at Jamia Millia Islamia and served as its Head for nearly fourty years. His is an expert in medieval Awadhi and Braj poetry, in particular the Sufi poetry of the pre-Mughal era. His writings on such seminal figures as Kabir, Tulsi, Khusro and several others have long been recognized as pioneering works in the field of medieval literary and devotional scholarship. In addition, he is the greatest living scholar of Jayasi and of Padmavat. He has been a life long champion of indigenizing Islam and revitalizing medieval ways of creative coexistence between different faith communities. The recipient of numerous awards and contributor to a number of international compendia, he is widely recognized as one of the most distinguished modern scholars of Hindi. I had a chance to meet Prof Mujeeb Rizwi at his residence in Delhi along with her daughter Meera Rizwi ,sister of Anusha, and an established and proficient script writer who has worked for numerous Television programmes so far. He shed light on various historical aspects of Bisauna and its past. I owe him thanks for enlightening with some lesser facts about Bisauna. No reference is found about Saiyid Asas-ud-Din Haidar in any Hindi, English, Persian book of any time. Isn’t it strange that there is no mention of such an important figure in a book of any language? There is no sign of his grave anywhere in the four villages. Whether he existed or not cannot be proved by any means. Should I take Muhammad Naeem Sahib as the real ancestor of Bisauna. The present shajra directly links Saiyid Asas-ud-Din Haidar to Imam Raza Aalihi’salaam without naming the guessed 18 generations with no reference or citations produced at all. This casts doubt over the sanctity of the Shajra itself. In the same printed Shajra published form Karachi, There is an epithet associated with Saiyid Asas-ud-Din Haidar as Salar Masood Ghazi while we all know the Saiyid Salar Masood Ghazi is famed warrior saint resting in Bahraich. How come this Khitab or Laqab got attached with him is again a question without answer ? While I have no reasons to believe some stories stating that Bisauna landlords are converted Muslims but at the same time I have no proofs to support the claim that they are Rizwi Syeds either.There is however least doubt that originally all of them were Sunnis and converted to Shia faith at a later stage. These lapses would place a serious student of history in a state of discombobulation. I would urge the descendents of Saiyid Asas-ud-Din Haidar sahib to please trace and put forth some substantial evidences that defuse such questions once for all. For my visit to Bisauna, I was enormously helped by Faisal Bhai and Aslam Bhai who not only took me there but also “Wasted” their time with me. Naushad Rizwi sahib played a fine host while taking us round the village. sir Im glad that u look into this matter deeply kindly if possible can u provide me with the history of Alvi family barabanki UP. As i hope u already gone through this as u discover the area. I know one very influential Shia Family from Asrawe kalan residing in Mansoor park area of Alld City. And if you want to know more about Shia family Meet my father. And put some lights on Sunni family of Asrawe Khurd too. Thank you for the work you are doing. This is very valuable for people like me who know little about our ancestors. My name is Khalid Nasim. I live in Apex North Carolina in the United States. I got here via Karachi. My father was Abdul Hai sahib. He was a lawyer from Bisauna. You have mentioned him in your blog on Baisuna. I am interested any additional information that you or your readers may have about my ancestors. My grand father was abdul Samad. He was Sunni and my grand mother Salma was shea. 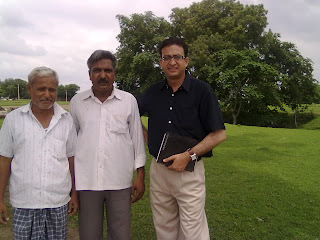 I have learned that my grand father worked for the Indian railways. Asak Khalid,I am really grateful to you for doing this wonderful work getting us acquainted with not only our own village but also the pargana.My eldest brother Mr.Riasat Hussain Rizvi (born in 1929) passed away on 05.06.2015 in Chicago --America (innal illah wa inna allaihe rajuun).He had migrated to Pakistan in 1952 after completing his Mechanical Engineering degree from A.M.U (Aligarh).He enjoyed an illustrious career in Pakistan Navy.He had married Begum Rehana (Rainie Bhabhi)who is of Punjabi descent in Lahore.His 3 children are settled in U.S.A & Canada.I wish them well in life.. We will always miss Bhaiyya who has done his family proud always.